C+D Awards 2018 go Above & Beyond! On Thursday 4th July Pharmacist Support joined representatives from the pharmacy community for the 2018 C+D Awards. This years event was held at the prestigious Intercontinental Hotel in London’s Mayfair, where we were once again delighted to be recognised as the Award’s nominated charity. 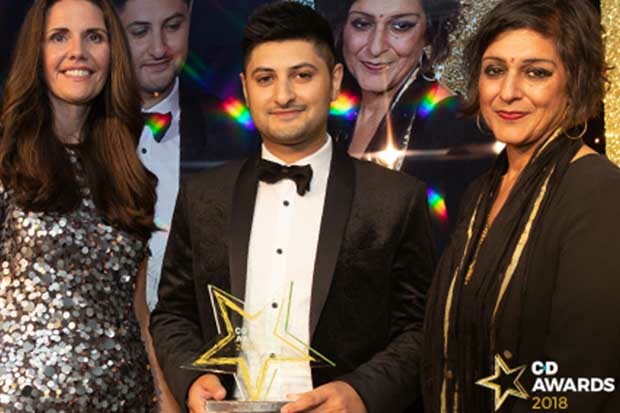 The evening was hosted by comedian Meera Syal, who oversaw the awards presentations that included a new category recognising those who have gone “Above and Beyond” the call of duty to look after their customers. This final award was presented by our very own Chief Executive Diane Leicester-Hallam and was voted for by the public. As well as the awards there was the charity raffle in aid of Pharmacist Support which raised an impressive £1940 from attendees, eager to get their hands on some fabulous prizes: a London Theatre Experience, tickets to the UK’s number 1 boutique festival Bestival in Dorset, and Spa goodies from Soap and Glory kindly donated by Boots. Details on the evenings winners can be found here.